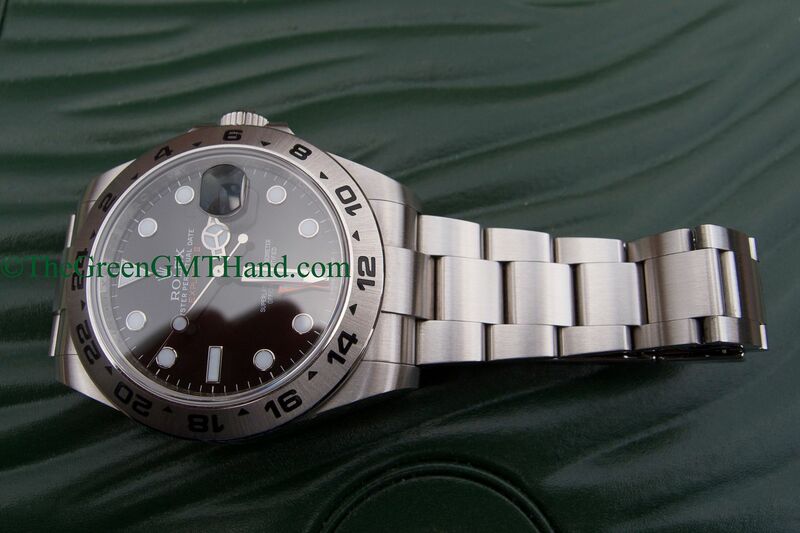 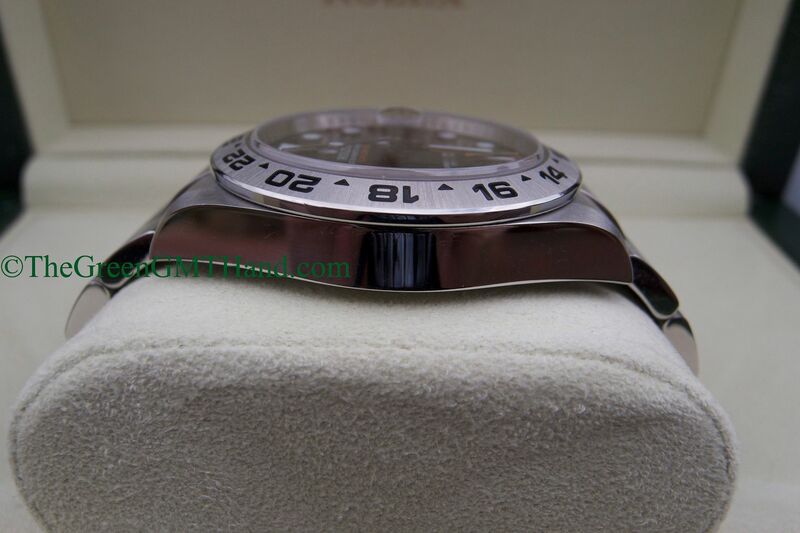 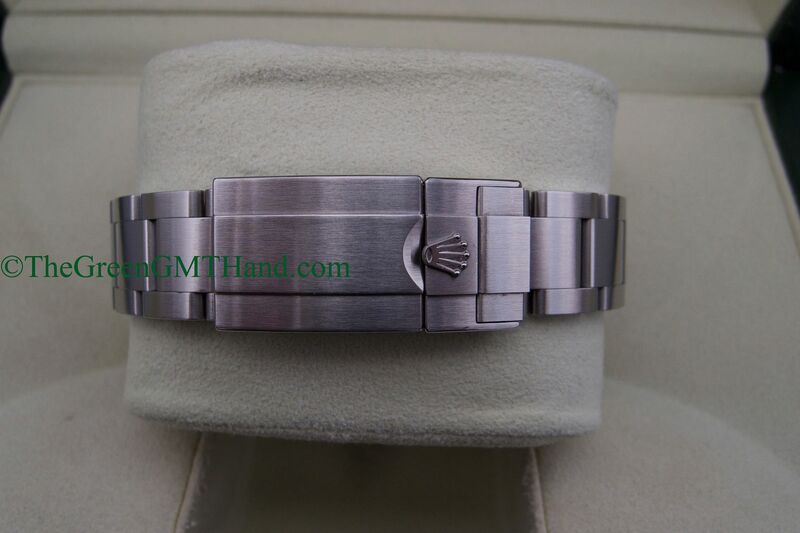 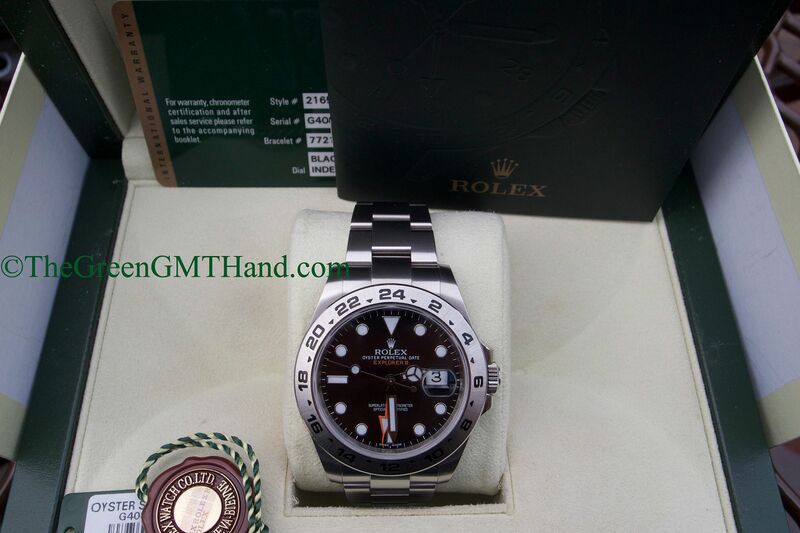 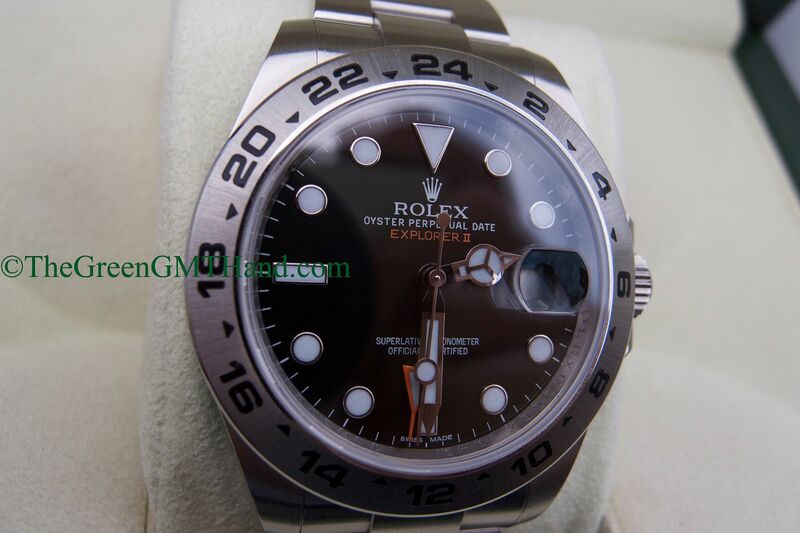 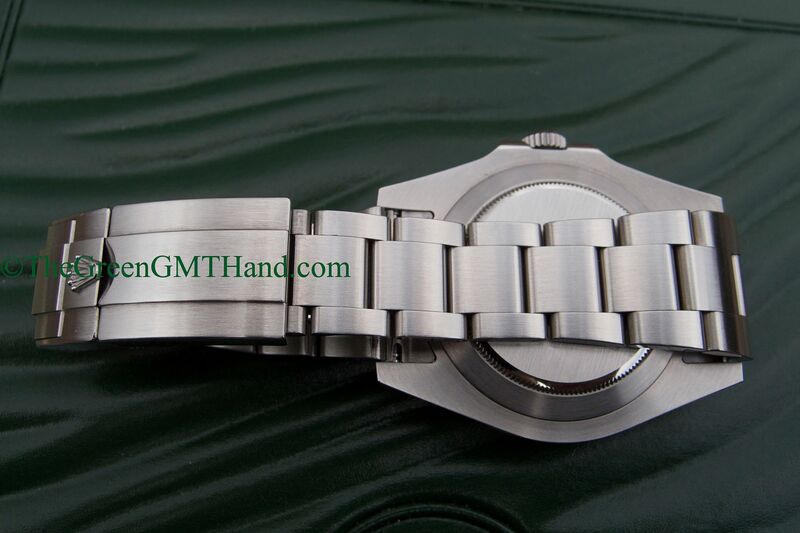 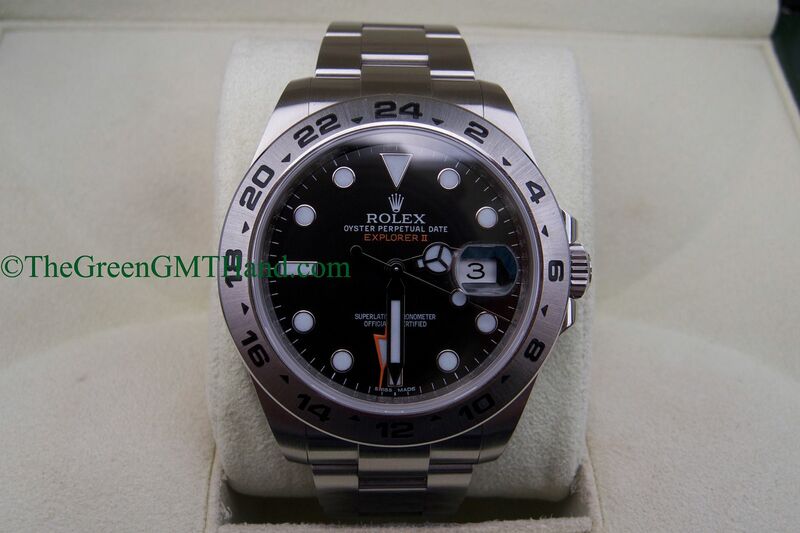 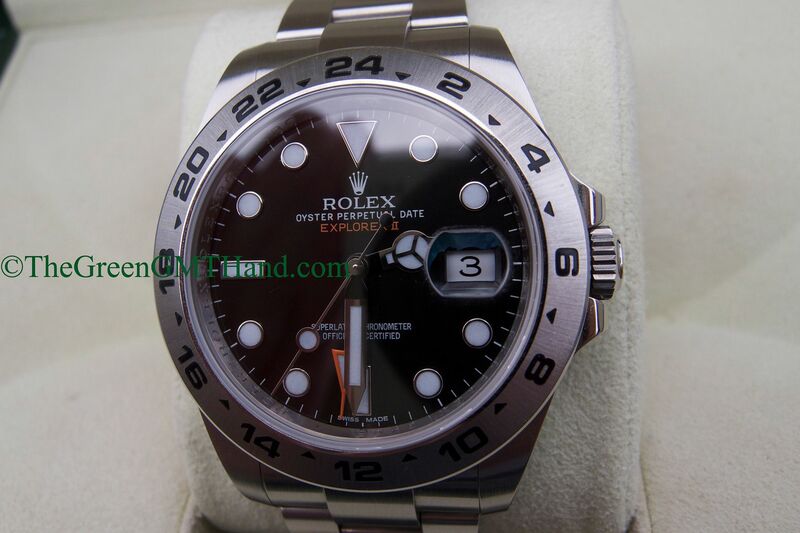 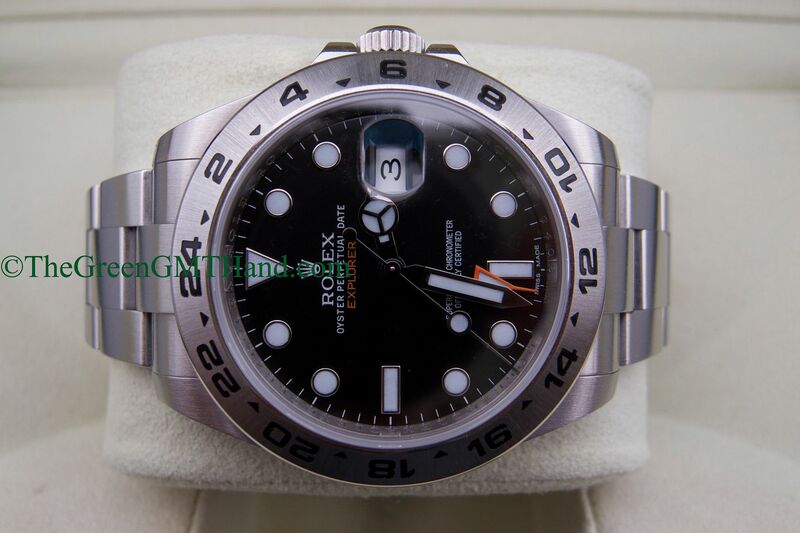 One of many Rolex 216570 Explorer II 42mm models we have sold. 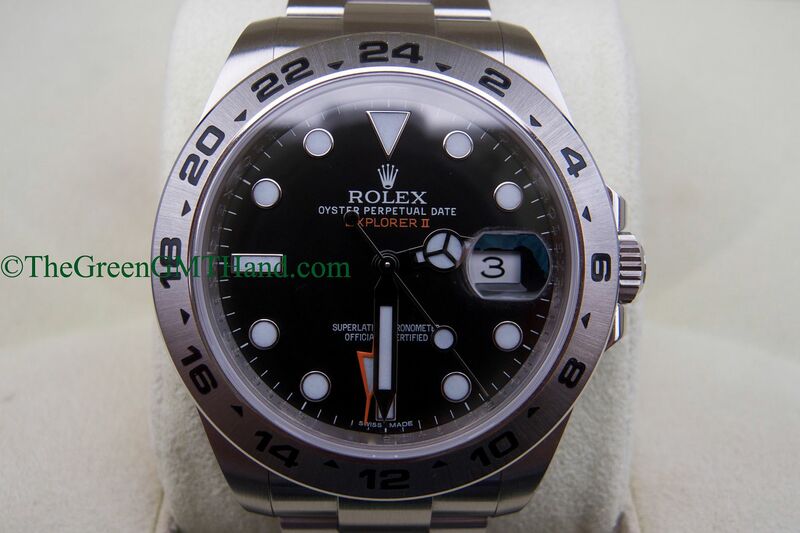 The black dial contrasts extremely well with the new maxi hands and orange GMT hand, leading some to call it the “phantom hands” effect. 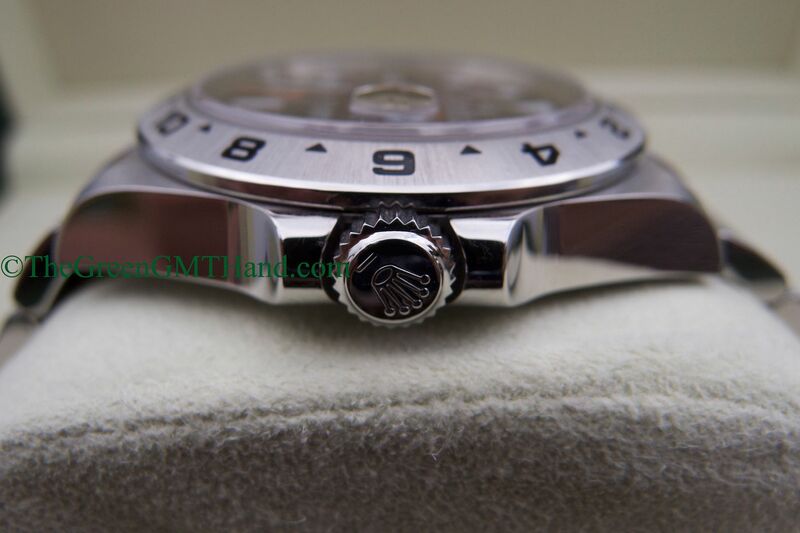 The orange hand is another can’t miss feature on this new Explorer II, which is a homage to the original 1655 Explorer II orange hand. 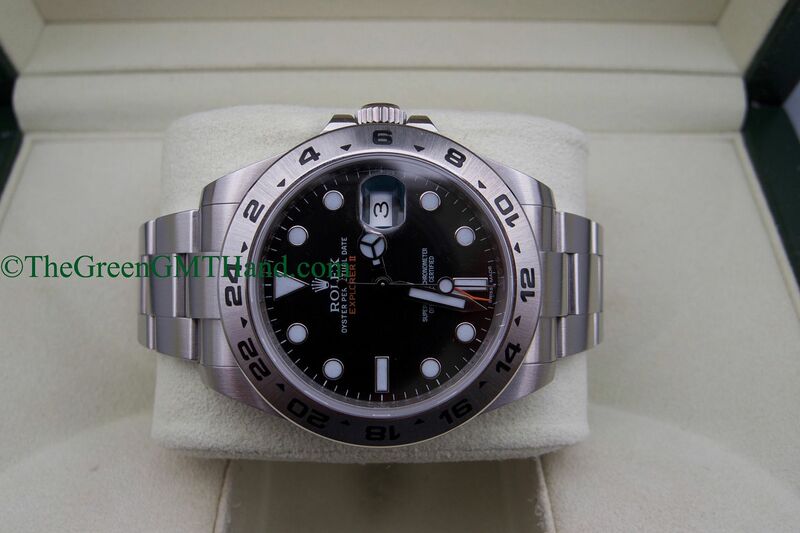 SOLD and delivered this complete set EXP II to one of our best clients in California as a complete set with Rolex boxes, warranty card, Rolex Explorer II manuals, and both tags.